THE PROBLEM: Documented scientific research shows that muscle imbalances lead to functional joint impingement. Over time, improper biomechanics can wear down joints and inflammation develops. This is one of the leading causes of osteoarthritis. BIOGRAPHYDr. David Felson, who has received the Osteoarthritis Research Society International’s Lifetime Achievement Award, states that the two main issues when treating osteoarthritis are the mechanical component and inflammation. Mechanical injury can come from weak muscles and old injuries. (Nutrition Action October 2017, pg 3)Medicare spends several billions of dollars a year on knee replacements for its beneficiaries, and the demand for total knee and hip replacements are growing significantly.The most common type of arthritis is osteoarthritis, which affects an estimated 31 million Americans. According to the Agency for Healthcare Research and Quality, more than 600,000 knee replacements are performed each year in the United States. This number is expected to be two million annually by the year 2030. The average hospital charge for a total knee replacement (TKR) in the United States is $49,500. A partial knee replacement (PKR) typically costs about 10 to 20 percent less than a TKR.According to the Agency for Healthcare Research and Quality, more than 300,000 total hip replacements are performed each year in the United States. 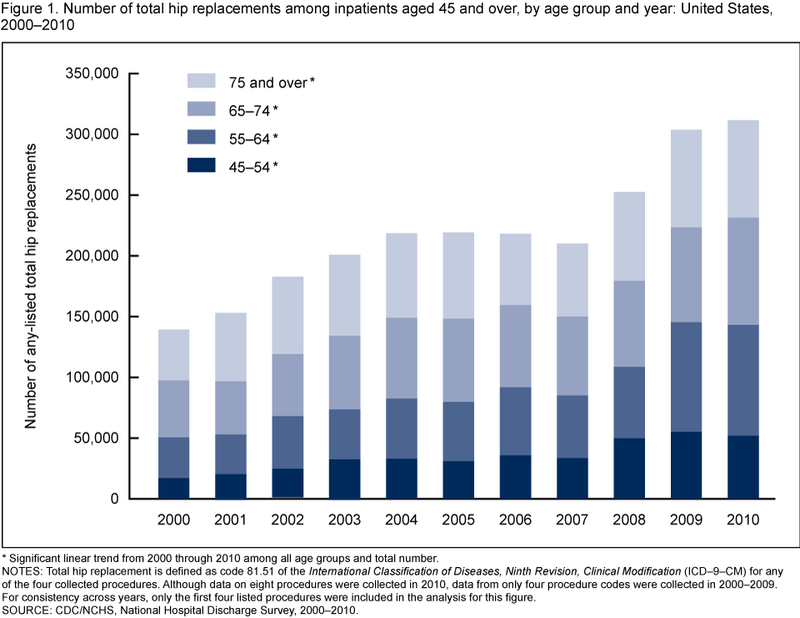 For patients without health insurance, a total hip replacement usually will cost between $31,839 and $44,816. Research has shown that land-based aerobic and resistance training can be used to help prevent and combat mild to moderate osteoarthritis. This is done by improving the function and stability of joints. Our Full Day Program offers multiple, intensive and aggressive therapies, scheduled throughout an entire day as part of a pre-determined frequency of weekly visits. It is designed to reduce neurological deficits and to re-develop neural pathways and improve patient function. Similar to the Full Day Rehab Program, the Half Day Rehab Program is designed to provide the same multiple, intensive, aggressive therapies with less time commitment each day. This program is only offered as our staff recommends in order to provide the patient the most effective outcome. Always available for dedicated one-on-one, patient to professional care, we schedule your therapeutic treatments at a time most convenient to your schedule. Premier Therapy Solutions’ system of empathetic care and our team of muscular-skeletal experts will be there for you throughout your recovery. We offer the highest level of therapeutic intervention, education, support groups and sport fitness opportunities. Using the most advanced evidence-based clinical treatments, our individualized unique therapies will help you reach your goals—going above and beyond where it was once thought impossible. Now is an exciting time for Physical Medicine. We Can Help! Choose Premier Therapy Solutions for your therapeutic needs and let us show you how. We define our quality of patient care by how successful we are with our outcomes. You can avoid suffering from this chronic disease through Premier Therapy Solutions’ Muscular Balance Evaluation. Dr. Lisa Corsa, who specializes in biomechanics and movement, developed this evaluation after treating this condition for over 20 years. This very unique and sophisticated evaluation includes manual muscle testing, cutting-edge surface EMG, and other special tests including posture, gait, and spine to assess how you move. After completion, you will know your muscular imbalances and be given a prescription for the tools you will need to move your way into a pain-free future. Contact us now for more information.